WETSTYLE has a new line of luxuriously designed tubs, sinks and cabinetry for smaller bathroom spaces. The W2 by WETSTYLE combines elegance and quality in a timeless transitional design. Known for its hand-crafted premium-quality bath furnishings, WETSTYLE is offering the W2 line at a more modest price point to reach a broader audience. 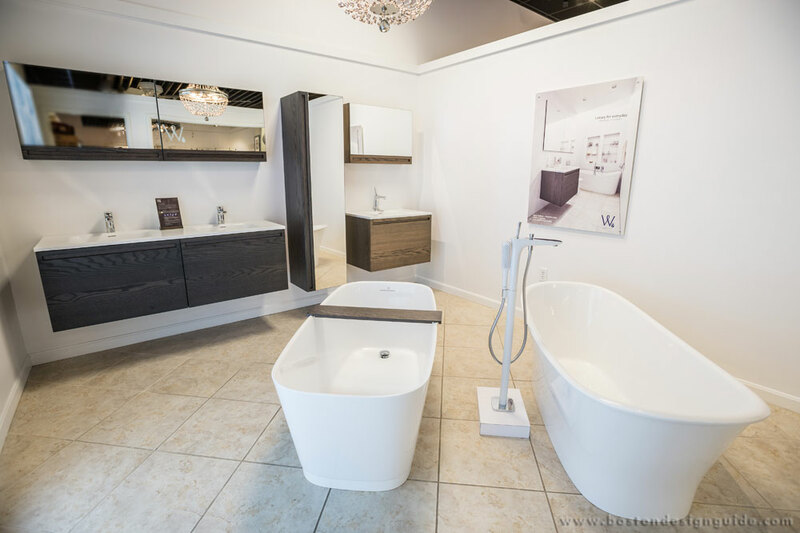 Frank Webb’s Bath & Lighting Center in South Boston recently opened a W2 by WETSTYLE display room, where two of three styles of W2 freestanding soaking tubs are featured: the Cloud Tub and the Straight Tub. 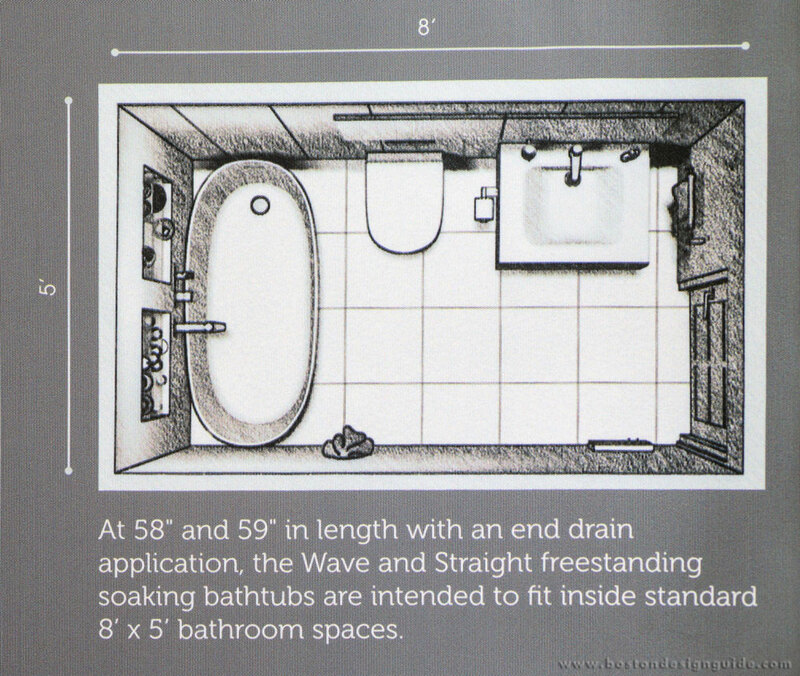 The W2 Wave Tub is also available through Frank Webb's showroom, however it isn't on display at this time. Shown with these tubs is the Puravida Freestanding Tub Filler from Hansgrohe. 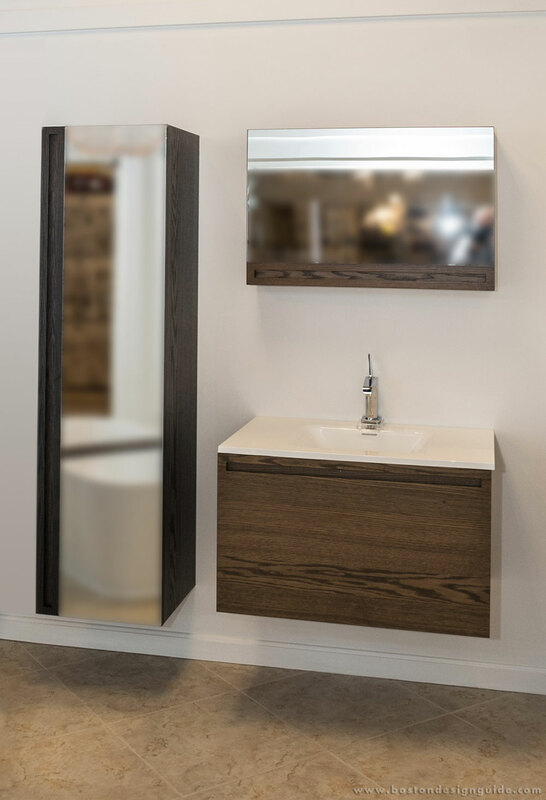 W2 by WETSTYLE cabinetry is handcrafted with real wood, responsibly sourced from renewable forestry. Components include an uplift mirrored cabinet, linen cabinet with mirrored door, and vanities in four different lengths (24", 30", 39", 60"). Featuring flat and rift cut oak, hand-stained finish options are Mocha or Charcoal Grey. These stunningly uncomplicated, yet functional pieces meet the highest rating for moisture, stain and damage resistance. Faucets featured with the W2 sinks at the Frank Webb’s showroom are from the Cult collection by Villeroy & Boch. All tubs and washbasins are made from an innovative eco-friendly, code-compliant material from WETSTYLE, called WETMAR BiO™. A first of its kind in the industry, WETMAR BiO is made from a mixture containing soy, vegetable extracts, and mineral stone. These natural ingredients are used in place of the more commonly used petrochemical-based resins in the industry. WETMAR BiO is non-porous, slip resistant, and exceptionally strong and durable. 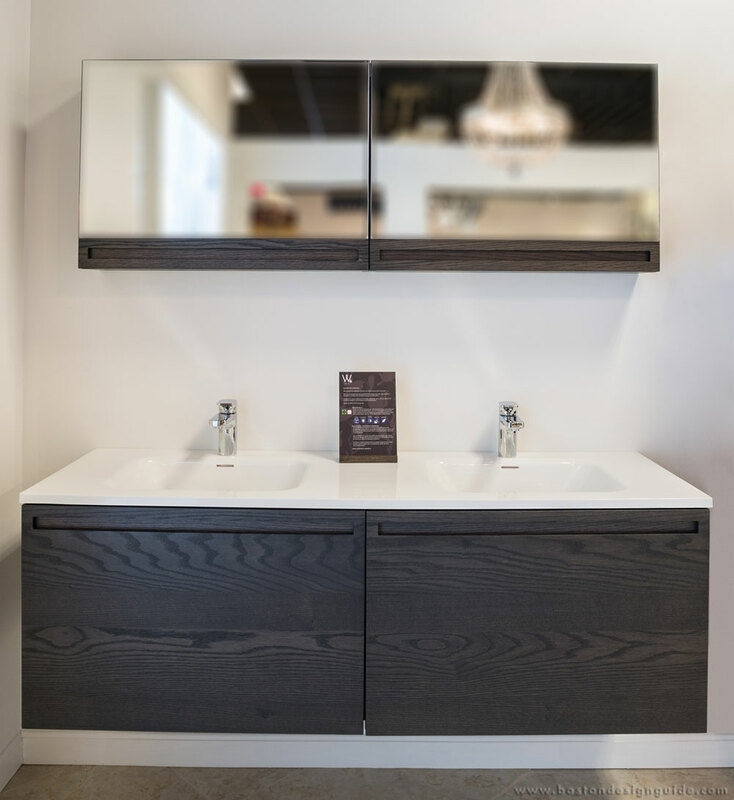 The Frank Webb’s Bath & Lighting Center, 307 Dorchester Ave., South Boston, MA is where you can see, feel and experience the new W2 by WETSTYLE bathroom collection. A showroom associate will be happy to help you.